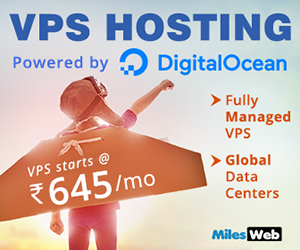 If you have a VPS or a dedicated server with MilesWeb, you can configure the basic initial settings of WHM. When you login to WHM for the first time, you will be prompted to determine the initial WHM settings in the Setup Wizard. All these settings can be changed at a later point of time if required. This post will also provide you with basic information required for completing the initial WHM setup and to begin working with your server. Go through the license agreement provided by cPanel carefully and click on ‘I agree/Go To Step 2’ button. In the ‘Contact Information’ section, you can enter the ways of alerting you for the server updates. Enable at least one of the options displayed in the communication methods section. In the ‘Hostname’ section, you can enter the desired hostname for your VPS / dedicated server. For example, server.localhost.com. cPanel needs the hostname in this format : name.domain.tld. In the ‘Resolvers’ section you can add the DNS resolvers that will be used for outgoing DNS queries by the server. It is recommended to have the default address for the primary and secondary resolvers. For the third resolver, you can specify one of the free publics DNS services of your choice. For example, you can specify the IP address of the Google Public DNS server. In the ‘Main Network/Ethernet Device’ section, it is recommended to enter the device suggested by default. Click on the option ‘Skip This Step and Use Default Settings’ and proceed to the next step. In this section, you have to specify the nameserver program that will be used on your server. You can check to cPanel recommendations for selecting the nameserver program that is most suitable for your needs. Default option : ‘BIND’ option is suitable for most of the users. Therefore, if you are not sure about the right option, pick BIND. In the ‘Nameservers specification’ section, enter the private nameservers that you would like to use. In the last section enter the IP addresses for your private nameservers that were mentioned in the welcome email. Although you can utilize a single IP address for both the nameservers; however, it is recommended to use different IP addresses if possible. In order to make the nameservers functional you also have to register them at your current registrar with the same IP addresses. In the ‘Add A Entries for Nameservers & Hostname’ section enter the main IP address of your server and save the changes. Wait for WHM to configure our nameservers, after that is done, WHM will take you to the next step. In this section, you can select the FTP and Mail programs and enable cPHulk module. It is recommended to use the default settings for FTP program. In the ‘Mail Configuration’ section you can select the mail program. ‘Dovecot’ is the suggested mail program, if you have any specific mail needs, you can select some other program. It is advisable to keep this option checked : ‘Convert mailbox settings file format’ in case you opted for enabling a mail server. cPHulk is the basic protection tool that protects your server from brute-force attacks; therefore, it is recommended to enable it. In the advanced settings you can specify the time periods for temporary blocks and for other cPHulk settings. The last option is for the ‘Perl’ environment. Some scripts and CGI applications might require Perl installation in the /user/bin/perl directory that is no more required by cPanel and WHM. If you don’t plan to use such scripts, keep this option unchecked. In the last step, you can install the disk space tracking system used for monitoring of disk space of cPanel accounts. It is recommended to keep this option unchecked. Once finished, click on ‘Finish Setup Wizard’, this will redirect you to WHM main menu. Looking for Cheap Linux VPS Hosting or Best Dedicated Server in India? 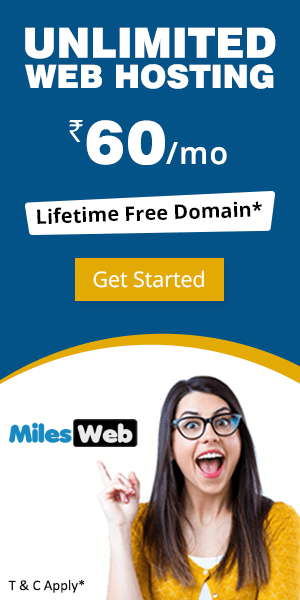 Look no further than MilesWeb Hosting! How to update yum repositories on your server ?